Rescuers on the mountain at Coires. Cairngorm Mountain Rescue Team saved the day as two climbers lost their way in the snow last night. 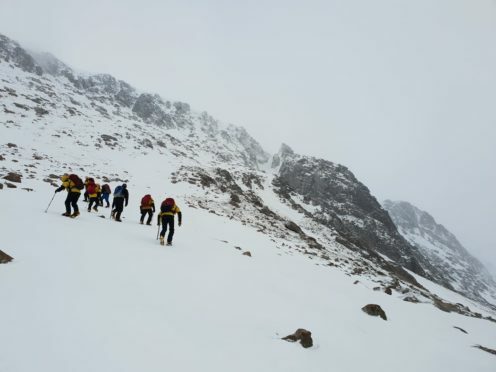 A team of 22 mountaineers were called out to assist the pair lost in darkness and poor weather after completing a winter climb in the Coires. Following a gruelling six-hour search the climbers were located and assisted to safety from the stormy weather.